Today I have a guest who, as you know, I consider to be one of my "blogger besties" sharing her thoughts on watching her grandmother's struggle with Alzheimer's for almost 20 years. This post will touch your heart and make you think (so make sure you have the Kleenex handy). My grandfather struggled with Dementia in the last years of his life, so my heart was instantly in tuned with hers when I read how Alzheimer's impacted her life growing up, and how watching her family's response shaped her views on true, unconditional love. Jo of Jo, My Gosh! Hi! I'm Jo, the blogger behind Jo, My Gosh! Join me as I blog about deployment, care packages, recipes, crafts, and everything in between! One of my deepest, greatest fears is that hidden somewhere in my DNA, I hold the right cocktail of genetics for Alzheimer's. Even typing that sentence makes me tear up, makes my stomach twist. Every time I lose my train of thought or misplace something, my brain can't help but move in that direction. What if...? My fear comes directly from watching my grandma struggle with Alzheimer's for almost 20 years. Alzheimer's is a cowardly disease-- sneaking in and stealing, piece by piece, personality, memories. It is painfully slow and painfully emotional for everyone watching it affect the person they love. I can only imagine how Grandma must have felt in the early years-- knowing something irreparable was wrong as more and more words slipped out of her grasp, as more things didn't make sense. It must have felt like slowly sinking into the ocean, like slowly drowning without the hope of a life preserver or a friendly hand. As a kid, I didn't notice her slow unraveling at first. And, when I knew that something was wrong-- once, as a family, we began naming it for what it was-- it was the family members around me that profoundly changed. It galls me to say that something positive could come of Grandma's illness. It was so very devastating to my family; even thinking it makes me feel like a traitor. And yet, good can always be found in the darkest times and most unremarkable places. The love that my mother and grandpa displayed tirelessly and unconditionally over two decades, is nothing short of monumental. It wasn't until I became an adult that I really understood the sacrifices that they made all while dealing with the emotional ramifications that Alzheimer's inevitably entails. Grandpa's unwavering steadfastness is something that I will always admire, and something that I try (and fail) to emulate. Throughout her disease, Grandpa never forgot that somewhere, inside her slowly withering body, was the girl he fell in love with in eighth grade and the woman he explored the world with. He treated her that way-- as the woman he was still madly in love with-- even as she became unable to talk and no longer recognized him. My mother kept two households running-- making dinner almost every night for our family and Grandpa and Grandma, cleaning, advocating on behalf of my grandparents for various organizations-- all while taking post-master's classes, raising three kids, working a professional, full-time job, and keeping everyone's schedules straight. As a clueless kid and then as a self-absorbed teenager, that was just the way things worked in my family-- it was status quo, nothing special. Today, looking back, I am deeply in awe. Thanks again for joining us, Jo! Here's your badge, if you'd like to use it. For more information on Alzheimer's and what you can do to help raise awareness, become an advocate and/or help find a cure, please contact the Alzheimer's Association. These "cookies" are really meringues, and they are soy (if you use all soy-free ingredients), wheat, milk and fish-free, and can be nut-free (see variations). They are a lot of fun to make, very simple and quite tasty! I hope they will become a part of your Easter traditions, as they have ours. Easter Story or Resurrection "Cookies"
1. Preheat your oven to 300oF. Do this before you go any further, because you will be turning the oven off to finish the recipe, so it needs to be to temp! 2. Place the pecans into a zipper bag and let your child(ren) beat them with a wooden spoon or rolling pin to break into small pieces. While they are doing so, explain to them that, after Jesus was arrested, He was beaten by the Roman soldiers. Read John 19:1-3. Set the pecans aside for later use. 3. Let each child smell the vinegar before pouring it into the mixing bowl. Explain that when Jesus was thirsty on the cross, He was given vinegar to drink. Read John 19:28-30. 4. Add the egg whites to the vinegar. Explain to your child(ren) that eggs represent life, and that Jesus gave His life to give us life. Read John 10:10-11. 5. Place a pinch of salt into the bowl before sprinkling a little salt into each child's hand and letting them taste it. Explain that salt represents the salty tears shed by Jesus' followers and the bitterness of our own sins. Read Luke 23:27. 7. Beat the mixture with a mixer on high speed for 12 to 15 minutes until the mixture turns white and stiff peaks are formed. Explain that the color white represents purity in God's eyes. When He looks at those of us who have asked Christ to be their Savior, He sees that our sins have been cleansed, and we are white as snow. Read Isaiah 1:18 and John 3:1-3. 8. Fold in the broken nuts and drop by teaspoons onto a waxed paper covered cookie sheet. Explain that each mound represents the rocky tomb where Jesus' body was laid. Read Matthew 27:57-60. 9. Put the cookie sheet into the oven, close the door and turn the oven OFF. Give each child a piece of tape and seal the oven door. Explain that Jesus' tomb was sealed. Read Matthew 27:65-66. 10. Go to bed if you are doing this in the evening or leave the cookies in the oven for 8 to 12 hours. Explain to your child(ren) that they may feel sad to leave the cookies in the oven overnight/all day. Jesus' followers were also in despair when the tomb was sealed and they had to leave Him there. Read John 16:20 and 22. 11. On Easter morning (or later in the day or whenever 8 to 12 hours later is), open the oven and give everyone a cookie. Notice the cracked surface before taking a bite - the cookies are hollow! On the first Easter, Jesus' followers were amazed to find the tomb open and empty! Read Matthew 28:1-9. Makes 12 to 24 cookies, depending on size. Nut-Free: Substitute chocolate chips for the nuts. To keep the recipe milk-free, use a dairy-free chocolate like Enjoy Life. You can use both pecans and chocolate chips, too, if you like. Aren't they just too cute?!?! They look like white rocks, which is so appropriate since they represent the tomb! Have an amazing Easter, all! Image courtesy of Wink Frozen Desserts Website. 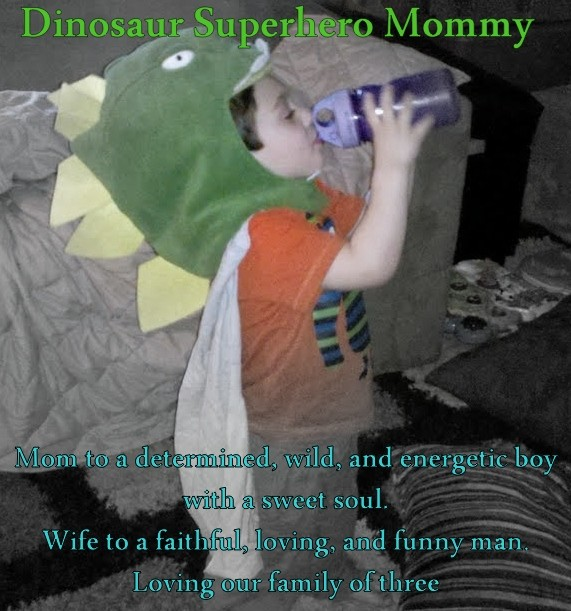 Recently I read a review done by Vegetarian Mama on Wink Frozen Dessert. Her review was so positive, I just knew I had to try these products for myself. Well, I sent a note to their company, and their spokesperson told me that they'd love for me to do a review, which I quickly agreed to (my first review ever on Natural and Free). A few weeks later, my samples showed up in the mail, and let me tell you, they did not disappoint! I didn't take a picture of the box nor the Styrofoam box the containers came in, but let me tell you, they were well insulated and packed on dry ice (From shipping date to arrival, it took about 3 days.). No melty frozen desserts here! Not only that, but they had instructions about how to dispose of the dry ice without getting frostbite, which I totally appreciated! And just look at the cute containers! Totally great visual appeal! :) You knew exactly what each container held and the allergen info was clearly marked. Total A+ rating for the packaging. They sent their current 4 flavors for me to try: Cake Batter, Cinnamon Bun, Cocoa Dough and Iced Latte. Before I go any further, let me just say I was amazed that they had a frozen dessert that was TOP 8 FREE in these flavors. I mean, when you have food allergies, you give up such flavors! It was so cool to see that they were making these flavors available to the allergy community. Besides that, their products are VEGAN, FAT-FREE, NON-GMO and SUGAR-FREE! Seriously! So, now you're wondering how they taste, right? Well, let me tell you! This product tastes EXACTLY like cake batter! Really! I was so shocked, I even said, "Wow! This tastes just like cake batter!" out loud when I tried it. I couldn't get over it. And just look at the texture! Creamy and decadent, just like ice cream should be. This was, hands down, the favorite flavor for my middle kid and I. It absolutely tasted just as promised: Like a cinnamon bun in frozen form! Just enough sweet and cinnamon. So good! Again, perfect texture; creamy and delicious, even melt in your mouth! Again, great texture, as you can see. This frozen dessert tasted like eating chocolate cookies, and again, you didn't miss what wasn't there. The slight "sugar-free" aftertaste was still there, but not enough to make you not want more. I give this flavor an A+ for making my kids fight for more! This flavor is more adult and is for those of you who don't like super sweet desserts and are big iced coffee fans. It tastes just like an iced latte that is just slightly sweet. Perfect texture, yet again, as you can see, too. My boys did not care for this flavor, but I liked it. I prefer my iced latte a little sweeter, but the less sweet taste did grow on me, and I figured I could always add chocolate syrup or caramel sauce if I wanted the extra sweet. Again, there was that slight aftertaste of "sugar-free", but I'd still give this flavor an A. $8 a pint, which is great for a frozen dessert that has so much to offer! It may be a little expensive for some of you, but for others, you'll see it as a bargain, especially when you consider the cost of most allergy-friendly, non-GMO, vegan items. At any rate, I think if you're getting it as a "sometimes treat", $8 is do-able. Let's give it a B for cost. Wink Frozen Desserts are complete winners! If you're looking for something TOP 8 FREE, VEGAN, FAT-FREE, SUGAR-FREE and NON-GMO, this is your dessert! It's absolutely delicious, surprisingly so. And before you think that means, "Well, they are good for vegan, allergy-friendly, sugar-free stuff," no, that's not what I mean. They are just GOOD, period. There are definitely flavors for the whole family, and you don't feel like you're missing out on anything! The slight "sugar-free" aftertaste is not enough to be off-putting, and I'm sure only those who are not used to sugar-free items would even notice, I'm just mentioning it for full-disclosure honesty purposes. At any rate, they are DEFINITELY worthy of the rave reviews they got from Vegetarian Mama, and I encourage you to check them out for yourself. You can also purchase their products through their New York stores and online at their own storefront. A big thank you to Wink for letting me and my family taste and review your products! I hope you enjoyed this link-up as much as I did! :) I just love a chance to brag on my friends, and let them know just how blessed I feel to have them in my life. linked up by Amy of Sews N' Bows! Amy shared that her friend Gigi took amazing pictures and made some pretty awesome doll clothes, and I must say, I totally agree! Just look at the adorable outfit! If you are into making clothing or accessories for dolls or just love looking at absolutely adorable doll clothes/accessories, look no further than Gigi's Doll and Craft Creations! There is some unbelievable talent there for sure! Thank you again, Amy, for sharing your friend's amazing talents with us! linked up by Cindy of Vegetarian Mamma! Cindy told us that she linked up Kim because "She is such a motivator to me. She took control of her life and her eating and has lost over 80 pounds. She is very real about her journey and such a good friend! I hope to be more like her one day! :)" I love having friends that I can look up to, don't you? This girl sounds like one you can look up to and who will cheer you along as well. 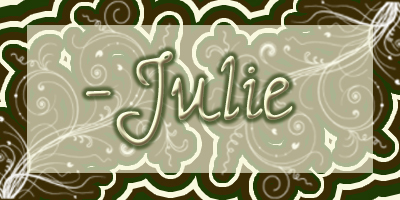 I hope you take the time to check out her site! She's got lots of helpful stuff and some yummy looking recipes, too! linked up by Ginny Marie of Lemon Drop Pie! Ginny Marie shared this guest post that Tricia did for her called, "Tips and Tricks: Five Ways to Take Better Pictures of Your Kids", and let me tell you, there were some great tips there! I then went to check out Tricia's page, and WOW! - BEAUTIFUL work! 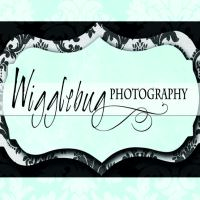 If you live in the DeKalb, Illinois area and need some photos done, look her up! She's amazing! And, from the sounds of it, she has a heart of gold, too! You won't be sorry. Thank you, Ginny Marie, for sharing your friend's photo talents with us! Thank you, Ashley and Lisa, for sharing your daughter's "friendship personified" with us! Thank you, "One Mommy", for sharing your friend's fun blog with us! 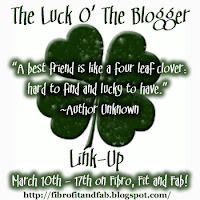 I hope you all have enjoyed (or will enjoy if you link-up today) your chance to share your besties with us! So far, I've shared with you, my blogger besties: Stacey of Glued to My Crafts, Ashley and Lisa of The Dose Of Reality, Jo of Jo, My Gosh!, Vanessa of Vanessa's Place, Laurrie of Baked Lava, Cindy of Vegetarian Mamma, Ginny Marie of Lemon Drop Pie, Kathy and Melinda of Mothering From Scratch, "One Mommy" of There's Just One Mommy, Caroline of Grateful Foodie, Heidi of One Creative Mommy, Paloma of The Coffee Shop, Patty of Mrs JohninGhana and Wyndie of Autism Recovered. They truly an amazing group of gals, and I hope you will get by their blogs to check them out soon! You won't regret it, and you might find that you will make yourself some new friends in the process! First is Christy of Completely Nourished! This is a dear woman from the natural/whole foods and health community who I can't quite remember how I happened across, but am so glad I found. 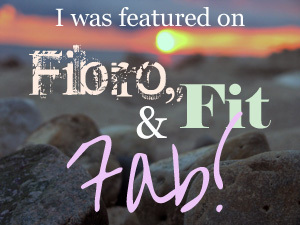 I've had her as a guest here before sharing her inspiring recovery story from Fibromyalgia after some serious lifestyle changes, and let me tell you, if you've not read it, you need to! So inspiring! 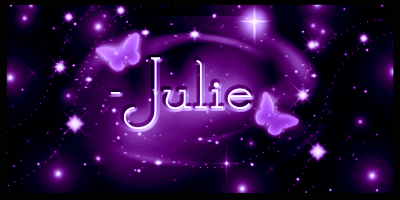 Please take a minute to check out her site. 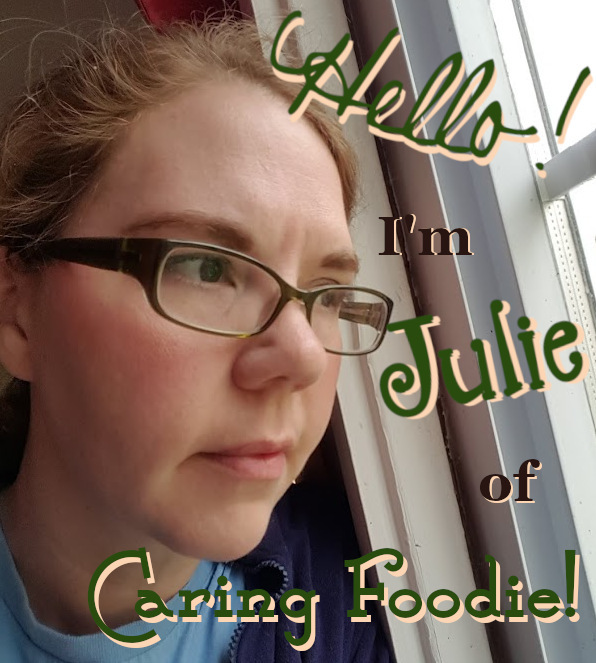 She shares recipes, tips, recovery stories and is full of enthusiasm and inspiration! She even does speaking engagements and consultations on how to regain your life and your health by making changes in lifestyle and eating habits. She is definitely a mentor to me, and I have the uttermost respect for her! To Christy: I have always looked up to you and found that you are such a blessing and encouragement. You have never treated me like I was "too small a blog" for your time, nor have you shunned my questions. You have always been there to encourage me, offer advice and make me feel like I'm just as important to the blogging world as you are, and you have no idea how wonderful that is nor how much that means to me! Thank you so much for all you do for this world by sharing your recovery story and the importance of real food. They and you are invaluable! Love ya, my friend! Second is Rachel of Une Bonne Vie! Image courtesy of Une Bonne Vie. Again, I don't know how I first met, Rachel, but I will tell you that she is the real deal, folks! She's sweet, caring and just an all and out blessing. She shares her heart honestly and openly, letting you see a side to her that will blow your mind, and does it in such a way that you don't feel alone in your own struggles in life. That, my friends, is rare. Her blog talks about her daily life, gives recipes and craft/organizations/fix-it tips/ideas, shares her thoughts on life and her relationship with God, among other things. She also loads her blog with amazing pictures that never cease to make me hungry (if we're talking food) or laugh, cry, smile or go "Aww!" (if we're talking pictures of her family, items or nature). It is definitely worth checking out! To Rachel: You are an amazing woman who I definitely admire and look up to. You never claim to be perfect, but you are real, and that is worth so much! I know that if I needed a prayer partner, you'd be there to do it. If I needed advice on a recipe, you'd give it. If I just needed a friend, you'd be it. We don't talk too often, but when we do, it is quality conversation and I feel heard and cared for. Thank you for showing me and others the love of God and His grace through your eyes. It is an amazing sight, and it increases my faith. Love you, girl! P.S. I did not get to share all of the amazing people I know online because there simply isn't enough time in the day or space online. :) If you want to see a complete list of all the amazing bloggers I know and follow, go to Natural and Free and look at the lists at the bottom of the page. You will find some incredibly helpful and talented people there with some equally as amazing blogs/sites. To all of the bloggers/sites I didn't get to mention by name: You all have, at one point or another, been an encouragement and a blessing to me! You have answered questions, left comments and cheered me along when I needed it most. Thank you! You can never know how much that means, and I count myself blessed to know you and have you as a part of my blogging life! Love you all!